If you crave a sense of adventure along with an enriching cultural experience, a trip to Tanzania should be in your near future. Situated among the African Great Lakes region of East Africa, Tanzania is known for its expansive plains and intriguing wildlife. While spending time in the country, you are also sure to find many friendly locals who will be happy to teach you more about their culture, history, and ways of life. These seven tips can help you plan the perfect adventure in Tanzania. The best time of year to visit Tanzania will depend on your weather preference. The most rainfall in the country occurs from October through April. 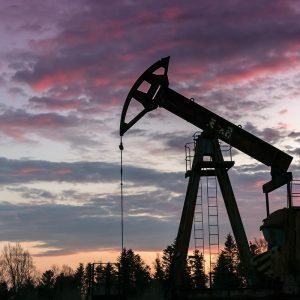 Temperature extremes are rare with the highest temperatures rising to just below 90 degrees Fahrenheit and the lowest rarely dropping below 65 degrees. If you journey to the highlands during the cold season, you may see temperatures in the low 50s. No trip to Tanzania would be complete without taking a safari. During your Tanzania safari, you will likely get the chance to see giraffes and elephants roaming the plains. You might also see hordes of wildebeests migrating. If you join an authorized safari tour, you will have the chance to travel in a vehicle that is driven by a professional guide who will take every precaution necessary to ensure your safety throughout your experience. 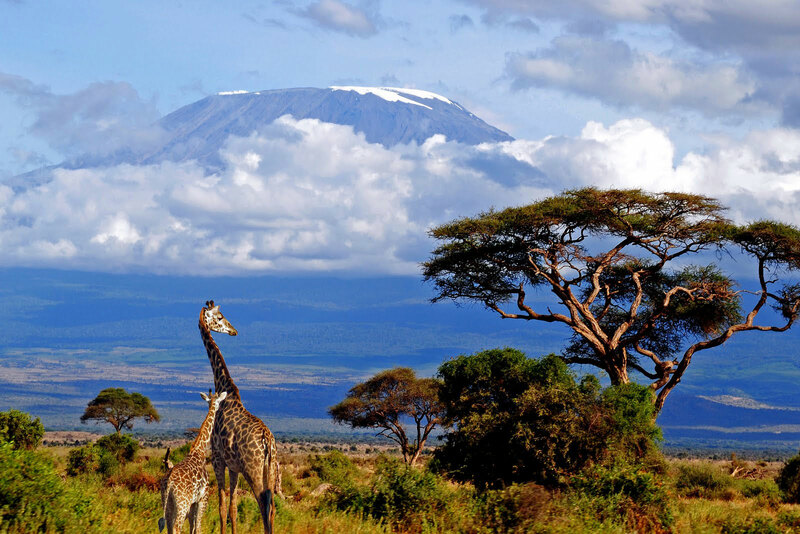 Tanzania features natural landmarks that are unique to many other landmarks in the world. 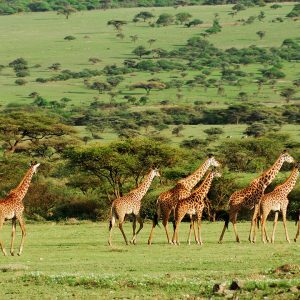 The vast geographical region known as the Serengeti is an ecosystem where the world’s second largest terrestrial migration takes place and also features grasslands, swamps, and other natural animal habitats. The Ngorongoro Crater located in the Ngorongoro Conservation Area has the distinction of being the largest inactive volcanic caldera that is still intact. 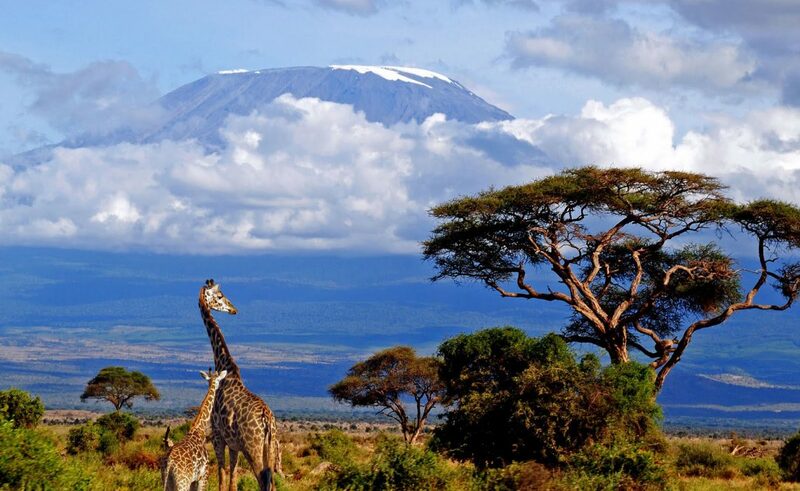 Tanzania is additionally home to the famous Mount Kilimanjaro, which is also Africa’s highest mountain. Even though Tanzania features some of the most spectacular natural landscapes and wilderness areas, you should still take time to explore the country’s best cities. Dodoma is the nation’s capital city and includes attractions like the Majengo Market and Dodoma Cathedral. Dar es Salaam, the country’s largest city and former capital, is known for its art, music venues, and lively sports tournaments. You will be able to see picturesque views of Mount Kilimanjaro and visit attractions like Tarangire National Park and the Mount Meru Forest Reserve by staying in the city of Arusha. Just a short distance off the coast of Tanzania’s mainland in the Indian Ocean lies the semi-autonomous region of Zanzibar. You can take a boat to the island to see the enchanting beaches of Nungwi, Paje, and Jambiani. Stone Town is a city and World Heritage Site in one and is famous for its historic Persian baths and Dunga Ruins, which date back to the 1400s. You can also take a spice tour and sample different spices that are used to flavor foods and for medicinal purposes. If you plan to travel around much of the country, you will want to stay in lodging facilities that make you feel comfortable while still fitting into the budget. Many safari camps can be found throughout Tanzania that offers luxurious accommodations. It is also possible to stay in a treehouse-style lodge that offers you a unique experience. If you are really on a tight budget, you can find hotels, hostels, campsites and bed and breakfasts that charge less than $15 USD per night. Taking a vacation in Tanzania will open the door to many new possibilities. Whether you are most looking forward to going on a safari, trying the cuisine or exploring the country’s cities, you are sure to have a satisfying adventure.